Creating a GMAT preparation plan is crucial. If at all possible, you should give yourself time to plan for it for at least 2 to 3 months. This way, you will never feel too rushed or stressed; and you will be able to absorb all your sources efficiently. However, as we all know, it is almost undoable. Like most people, you are always too busy with other things to allot months for your GMAT preparation. More often than not, we only have a month or less for our preparation for the GMAT. Taking the GMAT should not be all stressful. A perfectly designed GMAT Prep plan will help overcome the fear and pressure brought by the idea of taking the GMAT. You can resource GMAT Prep learning modules to help jumpstart your GMAT preparation routine. • The “OG” – one trick is to buy the GMAT Official Guide books. These contain the needed information and practice tests that will help you successfully pass GMAT. You will find them very useful especially if you do not have a longer study timeframe. By studying the OG religiously, you will be able to refresh your knowledge and mindset. • GMAT Practice Tests – to be able to familiarize yourself with GMAT-related questions, you need to take as many GMAT practice exam as you can. If it is possible, repeat the practice test again. By doing this, you will be able to recognize the questions on the actual tests, which are, by the way, on the same concept as the practice problems. 1. If you haven’t taken a practice CAT or any GMAT practice tests, then take one. This will help you assess yourself and evaluate how well you know the subjects. Make sure you do not cheat yourself by checking with other study materials. You will only have a harder time evaluating what you do not know when you cheat. 2. After you’ve taken a number of GMAT practice exams, review the areas where you got the most questions wrong. If it is possible, take those specific tests again until you are satisfied with your test results. 3. If you think it could help, register for a GMAT class. 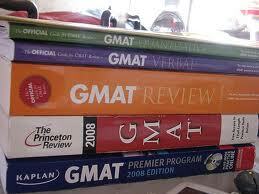 Or you can form a GMAT study group if studying with other people will make you more comfortable and dedicated. 4. Memorize basic vocabulary rules and Math formulas. You should make time to learn equivalencies and fractions. Ignoring these may affect your GMAT standing. 5. Never skip the AWA section on your GMAT practice tests, not doing so may distract you during the actual examination. Refrain from jumping around reading comprehension passages and do not be too indolent or too proud by not drawing a diagram if necessary. 6. At least a week before the test day, take another set or two of GMAT practice tests. This will help you refresh your mind and practice your mental and physical strength. It is still best to have a longer time to prepare for the GMAT, but like what we all know, not all of us have the privilege to do so. However, it is not impossible to get ready for GMAT in a month. By effectively utilizing the GMAT Official Guide books and by taking up GMAT practice tests, you can still have a good preparation for the GMAT even under time pressure. nice post.. Thanks for useful blog.. we are GRE in chennai and gmat coaching training classes in chennai .